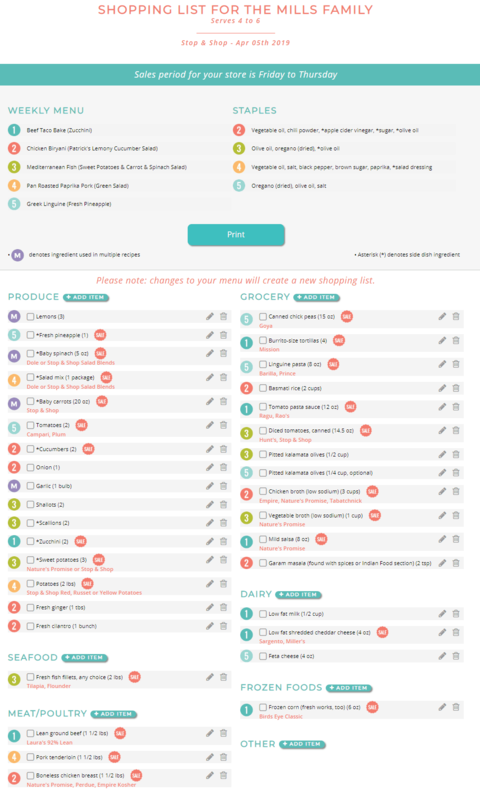 This week we decided to put our healthy dinner planning service to the test with our local Stop&Shop store. We love to showcase how easy it is to have truly delicious and healthy dinners with minimal stress. We also love helping our members save time and make the most of their food budget. 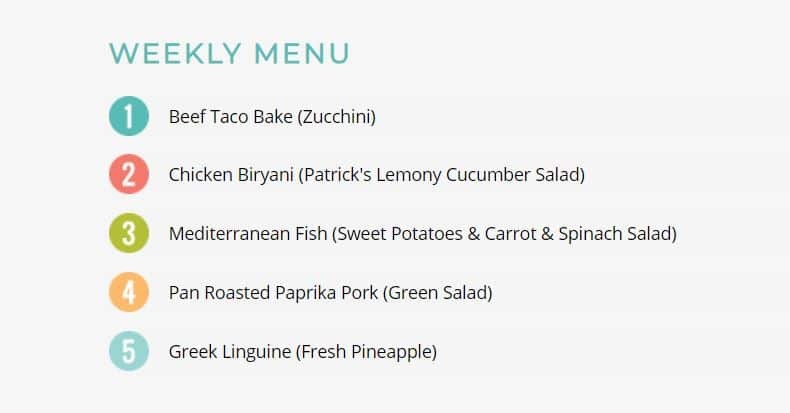 Each week at The Dinner Daily, we prepare highly personalized and healthy dinner menus based on our members’ food preferences and dietary needs (gluten free, dairy free, reduced carb etc). Our ready to go menus save our members hours of time each week as all the planning and thinking around “what is for dinner?” is done for them. Using the circular in our menus is one of the key ways we help customers save money. The proof is at the register. 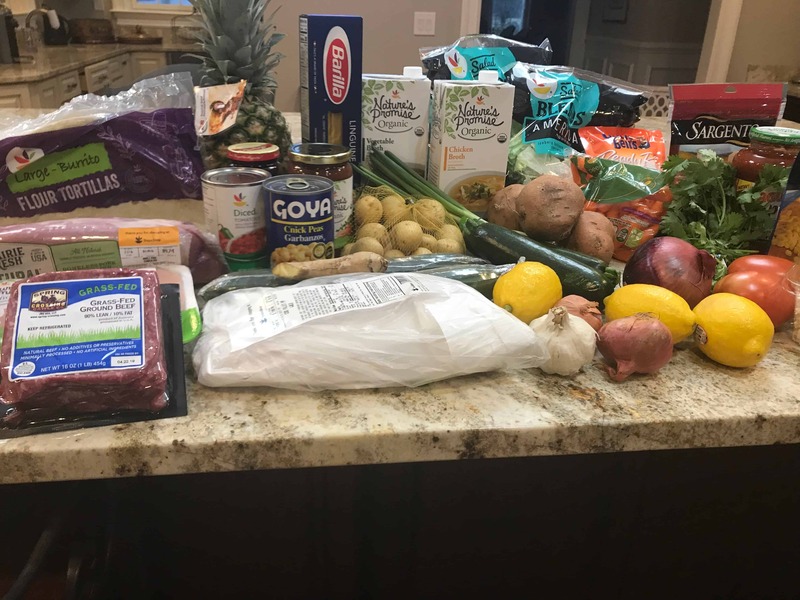 The cost of these five healthy dinners for a family of 5: $86.92. That amounts to about $3 per person per dinner. As you can see above, this is not a rice and beans plan. Our menus focus on nutritious and high quality fresh foods that results in healthy and easy to prepare dinners for the whole family. Our shopping list for these five dinners is shown below. Notice the large volume of those happy little “Sales” bursts on the list above? This reflects all the in store specials that were used in our dinner menu for the week, resulting in real savings at the register. Planning your meals around what is on special each week really does help you save money at your favorite store. 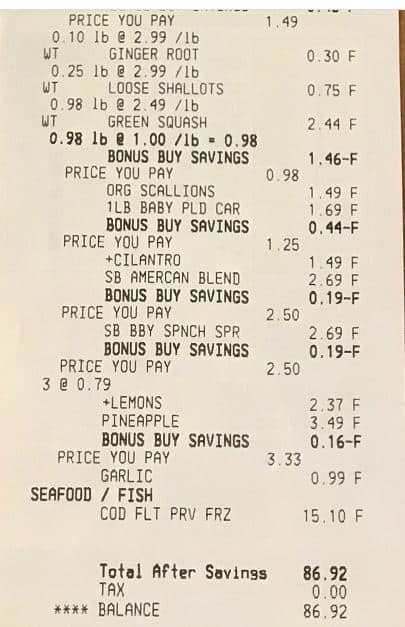 And just in case you are skeptical that all those healthy groceries shown above really only came to $86.92, here’s the register receipt to prove it!